Our blog is dedicated to helping you, the small business owner, maximize your retail profitability. We write a lot about inventory management, cycle counting, and even life hacks like storing inventory at home. While these techniques are critical to the success of any main street business, they can be a bit dry. Today we’re going to shift gears and talk about something more fun - merchandising! Whether you’ve just opened your first store or you run a finely tuned, multi-location retail empire, these 5 Steps to Merchandising Success will help you sell more product and grow your business. 1. Know Your Customer. It seems obvious, I know, but before you get started laying out your displays, be sure you know your target customer extremely well. Creating personas is a great way to do this. A persona will, of course, include demographics like gender, age, marital status, and income level, but should also explore their emotional connection to your products and brand. Ask yourself why they might buy your product and tailor your storefront accordingly. 2. Work in Threes. Whenever possible, display your products in groups of three. Ideally arrange different sized items together, creating triangles or asymmetrical shapes. This will keep your customer's eyes moving and engage their brain on a subconscious level. If you took art appreciation in college, this will sound very familiar. 3. Build Your Brand. Every interaction you have with a customer is a chance to build and reinforce your brand. How you display your products sends queues to your customers about who you are and what you stand for. Apple stores are a great example of this -- they use the same aesthetics and attention to detail as their beautiful products. Don’t just copy the big guys, though, be true to yourself and your company. 4. Be Colorful! 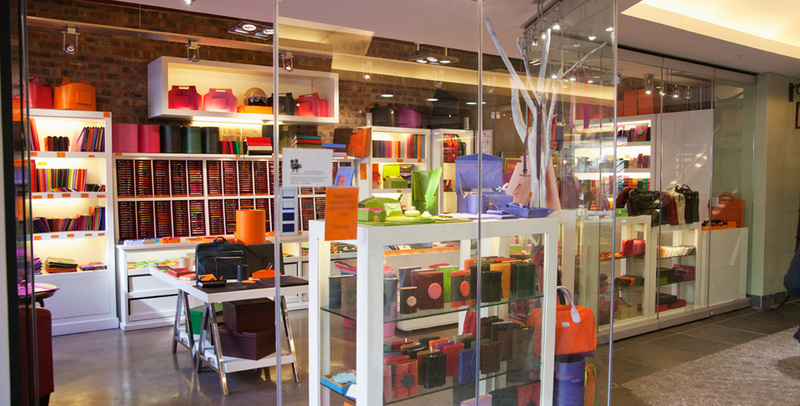 We’ve written about the importance of visuals and colors in merchandising before. The short version - colors impact people’s emotions, moods, and impulses more than you probably realize. Purchases are often emotional decisions, so be sure to tune your color palette and overall aesthetics for your target customer and products. 5. Experiment. “The customer is always right.” This saying is usually applied to customers’ needs and grievances. You can also use this truth to optimize your sales by experimenting with different ways to merchandise. Record sales data and other relevant metrics for a month, then make a change to your displays and record that same data the next month. Keep the winning method, then try a third way to see if you can do even better. You can do this indefinitely, as long as your bandwidth and imagination allow! It’s also a great way to energize and engage your employees… If someone has an idea for a creative way to display your products, test it out and see how it performs. If their idea wins, give them a little bonus. The idea hopper will be full in no time. Like this blog post? You’ll love our inventory management software even more. Sign up for a 14-day full-feature free trial at Shopventory.com.